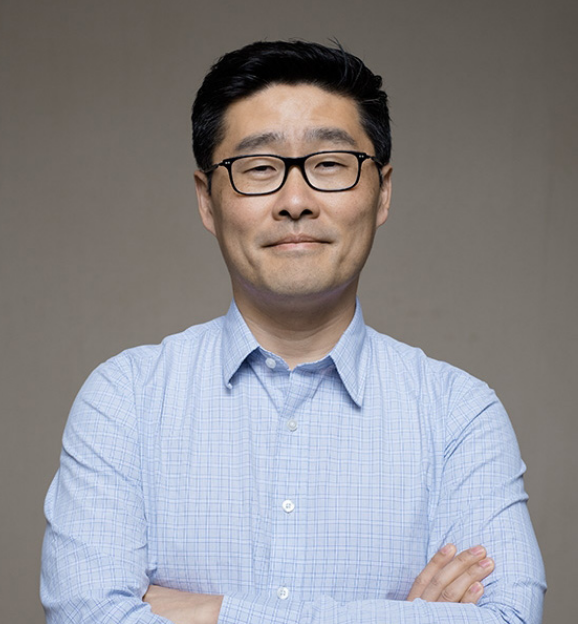 KALAGNY Welcomes James Lee to Its Board of Governors! Start or Join a "STEPTEMBER" Team to Fight Cerebral Palsy! On Tuesday, August 14 at 5:30 p.m., KALAGNY and AABANY's Real Estate, Solo & Small Firm and Labor & Employment Law Committees will present a CLE discussion on diversity and inclusion in the workplace. The event takes place at Flushing Bank's midtown Manhattan location (map) and includes a networking portion. Light refreshments will be served. Click here to see the event flyer (pdf) . Members of KALAGNY and AABANY and clients of Flushing Bank and Littler Mendelson may register free of charge by clicking here. There is a $20 CLE fee for attendees who are not members or clients of the sponsors. Non-affiliates may register by clicking here. 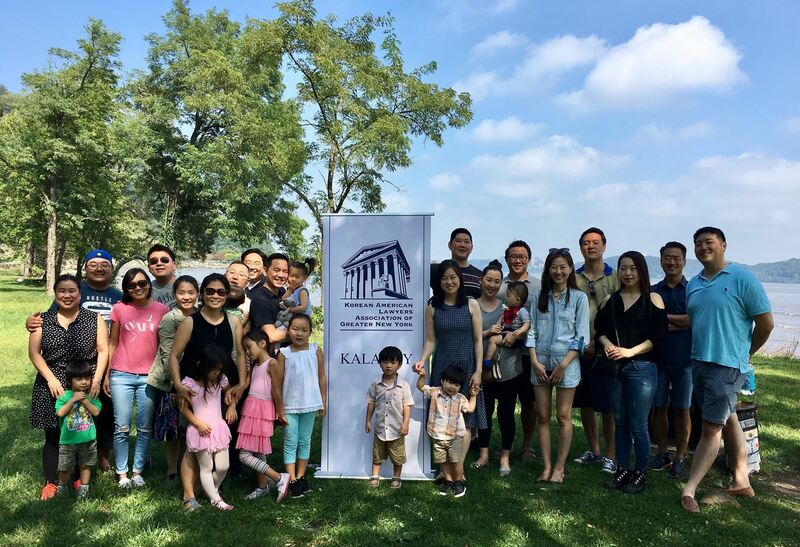 KALAGNY invites its members, friends and family to its Annual Picnics in Central Park (Aug. 18) and New Jersey (Sep. 8)! This year, KALAGNY's Annual Picnic in Central Park will take place on Saturday, August 18 from 12 p.m. to 4 p.m. at the Diana Ross Playground lawn, Central Park West at W. 81st St. (map). The playground is open to all, so feel free to bring the little ones! We’ll provide plenty of picnic fare, but feel free to bring along your favorite foods and games as well. Just let us know on the RSVP page what you'll be bringing. Please click here to RSVP for the Picnic in Central Park. Please join on us on Saturday, September 8, for our Annual New Jersey Picnic. We will be serving lunch, including Korean BBQ, so no need to bring anything except a picnic blanket. Families and children are welcome as there will be family-friendly activities. Location in Bergen County TBD. We'll send out an RSVP link once the location has been confirmed, so please save the date! We're also looking for a few people to help with picnic logistics - if you're interested, please contact Gene Kang directly at gykang@gmail.com. Register by August 15 for special early registration rates! Join KALAGNY on October 1 for its annual Partners/In House Golf Outing at Manhattan Woods Golf Club in West Nyack (map), listed in Golf Digest's Top 100 Greatest Courses as one of New York's best. A portion of the proceeds from this event will be donated by KALAGNY to the Han C. Choi Scholarship Fund to support law students and lawyers affected by cancer. Each team will be captained by an in-house attorney selected by a sponsor (in order of sponsorship priority level), with prizes for top teams and individual golfers. Prizes will also be awarded to the winners of on-course contests, including hole-in-one, long drive, and closest to the pin. Not ready for 18 holes? Participate in our golf clinic to gear up for next year! For sponsorship information and registration, please click here to open the registration form. Please email the completed form to kalagny@gmail.com with "2018 Golf Outing" in the subject line and KALAGNY will send you an invoice with payment instructions. Send in your registration form by August 15 for special rates! For more information about the event, please email Michael Yim at myim@putneylaw.com. 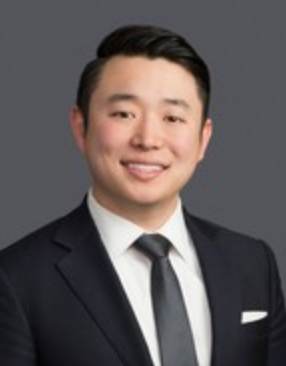 KALAGNY welcomes James Y. Lee to its Board of Governors! We are pleased to announce that James Lee has joined the KALAGNY Board of Governors. James’s practice at Lee Hawkins Parnell Thackston & Young LLP focuses on complex commercial litigation and products liability. While in law school, James served in chambers with the late, Honorable Harold Baer, Jr. and the Honorable Doris Ling-Cohan. He has also held internships at the U.S. Department of Justice, Office of Legislative Affairs and the U.S. Attorney’s Office for the Eastern District of Pennsylvania, as well as the the New York County District Attorney's Office and Los Angeles County District Attorney's Office. James earned his J.D. at Cardozo School of Law and a Master's degree in Social Policy at the University of Pennsylvania, where his research focused on incarceration policy trends in federal and state prisons. We welcome to James to the Board and look forward to his term as a Governor! Career coach (and KALAGNY member) Celina Lee recently interviewed Michael Kim, Co-Founder of Kobre & Kim, on Celina's podcast, Live Your Dream. Michael and his firm are longtime supporters of KALAGNY and Kobre & Kim was a Gold Sponsor at our Gala this year. Click here to listen to the podcast (#3 "How to Make Yourself Happy") and hear Michael's inspiring views on personal fulfillment. The NAPABA Board of Governors will appoint two at-large board members to two-year terms beginning with the 2018-19 bar year. The NAPABA Nominating and Elections Committee invites all NAPABA members in good standing to apply. Review the guidelines and submit your application for the At-Large Board Member position by clicking here. The deadline to submit an application is Friday, August 3 at 5 p.m. EDT. Contact elections@napaba.org with any questions. Applications are now being accepted for 2018-2020 NAPABA NE Regional Governor and 2018-2019 NAPABA NE Regional Governor Alternate. If you are interested in either or both positions, please submit your candidate statement and any supporting documents to Victor Diune (victor_diune@ml.com) and Rahat Babar (rahat.babar@gmail.com) by Friday, August 24 at 11:59 EDT. The Classical Musicians Network presents its free Young Musicians Concert showcasing accomplished young Korean musicians from the CMN 2018 Summer Youth Festival. The concert takes place on Friday, August 3 at 7:30 p.m. at Lincoln Center's Bruno Walter Auditorium (map). Sponsors include the Law Office of Dana Y. Lee and Yoon LLP. Click here to see the event flyer and program. The 26th Annual International Association of Korean Lawyers (IAKL) Conference will be held in Atlanta, Georgia from September 13-16, hosted by the Korean American Bar Association of Georgia. The Conference features a wide range of CLEs and a general counsel panel discussion as well as social events including the gala and annual golf outing. Room reservations for the IAKL block at the Grand Hyatt Buckhead Atlanta are now open. IAKL has also partnered with Delta Airlines to provide discounted fare rates to Conference attendees. Visit the Conference website to book now! Click here to register and learn more about the Conference. Sponsorship opportunities are still available! Start or Join A STEPTEMBER Team to Fight Cerebral Palsy! 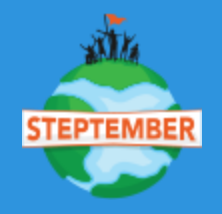 Join teams from around the world and register now to be a part of STEPTEMBER 2018! Raise money to fight cerebral palsy (and ramp up your fitness regime!) by joining the challenge: take 10,000 steps each day this September 4 through October 1 and ask friends and family to sponsor you. STEPTEMBER provides you with the pedometer and you provide the activity - run, walk, dance, cycle, swim - it's up to you! The money you raise is vital for the treatment, prevention and ultimately the discovery of a cure for cerebral palsy. STEPTEMBER is customizable to any industry or workplace (including your law firm!). Pedometer, smartphone app, website, customized organization leaderboard, and on-going support from STEPTEMBER headquarters can all be provided. Law firms already on board for 2018 include: Akin Gump, Day Pitney, Dentons, Goodwin Proctor, Jones Day, Kirkland & Ellis, Kramer, Dillof, Livingston & Moore, Morgan Lewis, Morrison Foerster, Offit Kurman, Skadden and Weil Gotshal. Team up with your KALAGNY mentor/mentees or fellow committee members! Get your firm involved or just get a few friends together for a great cause! Visit the Steptember website to register and learn more about this amazing project! Join KALAGNY member and PGA TNT's Chair of Special Events Margaret T. Ling at the Fore! Miler Community Run Walk on Sunday, August 19 at the Ridgewood Country Club. 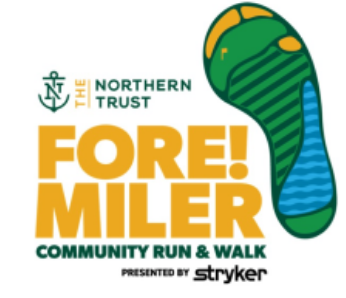 Proceeds from the four-mile race will benefit the Center for Food Action, MD Anderson Cancer Center and the official charities of The Northern Trust. The event takes place just days before the world’s best golfers tee off in the first event of the PGA Tour’s season-ending FedExCup Playoffs. The Fore! Miler registration fee entitles you to a separate one-day grounds admission to The Northern Trust tournament as golf's top players compete to advance in the Playoffs! Learn more about the Fore! Miler and register by clicking here. An import and distribution company seeks an in-house Associate Counsel. The position offers the opportunity to work closely with the CEO and other top executives. Fluency in Korean is required. 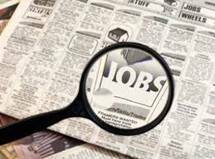 Additional positions with the Office of the Attorney General are listed on our website.